Located in Chongming Island, Shanghai, the project is adjacent to Dongtan National Nature Reserve and Wetland Park, boasting unique natural resources. The project has a floorage of about 200,000 square meters. The main planning and design is townhouse or cluster house. There is a total of 121 units, 456 villas with around 3,800 square meters of commercial supporting facilities, including swimming pool, gym and Chinese and Western restaurants. Shanghai Sanxiang is a member of DGNB, the Germany’s sustainable building assessment system, which adopts the highest level of standards. 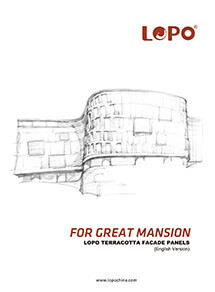 It has always been focused on building green, energy-efficient and intelligent buildings. 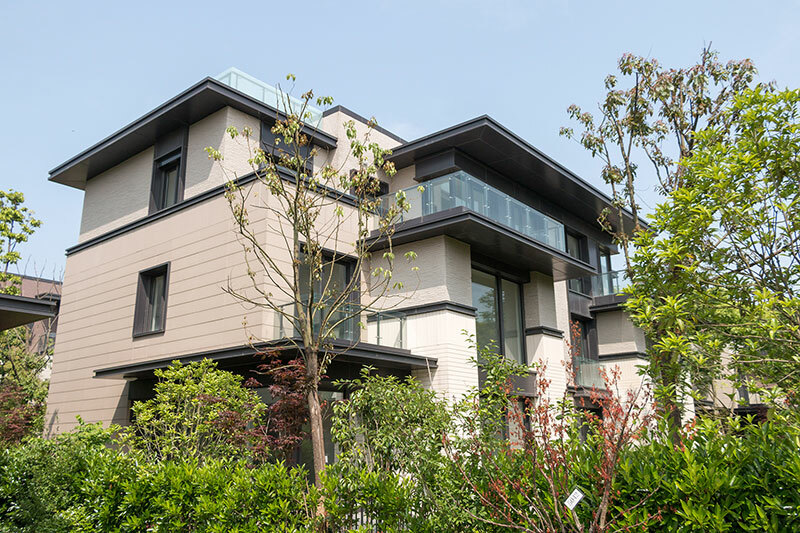 ‘Solar power and building integration system’, ‘air purification and building integration’, ‘displacement ventilation technology’, ‘same floor drainage system’, ‘smart exterior shading system’, ‘smart home system’ have become the standard configuration for Haishang series’ residential communities. 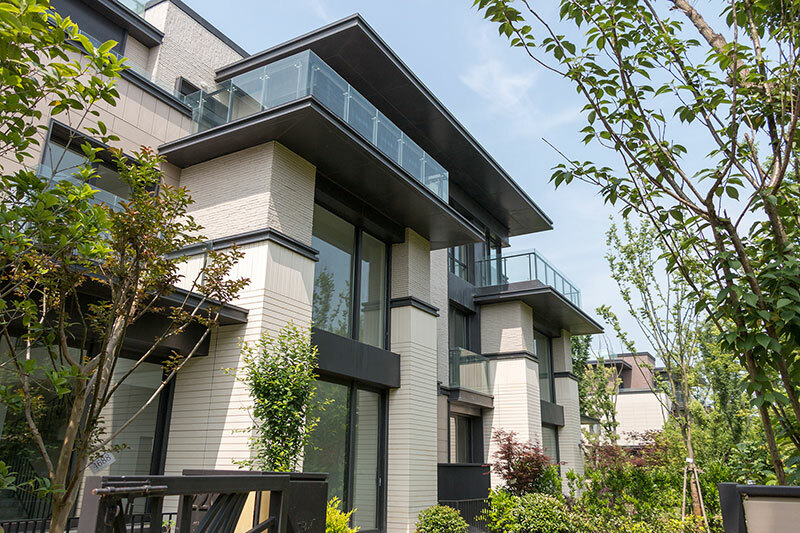 When it comes to the planning and design of the project, the architects adopted the latest and well-recognized residential community design philosophy and comprehensively applied the excellent concepts in ecology and urban design theories. 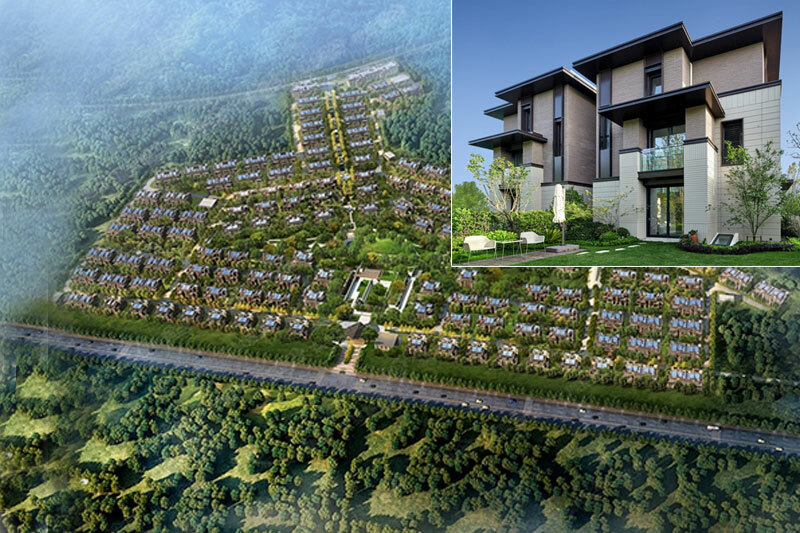 With the local forest landscape as the center piece, the project design strives to achieve the organic integration of living and environmental ecology by introducing the advanced German green technology enabled residential system, which is energy saving and environmental friendly. It is also in line with the concept of sustainable development. The facade design of the building highlights the horizontal extension, making the building comfortably stretched yet calm and stable. The main wall is made of white groove surfaced terracotta tiles and light gray flat surfaced terracotta tiles. 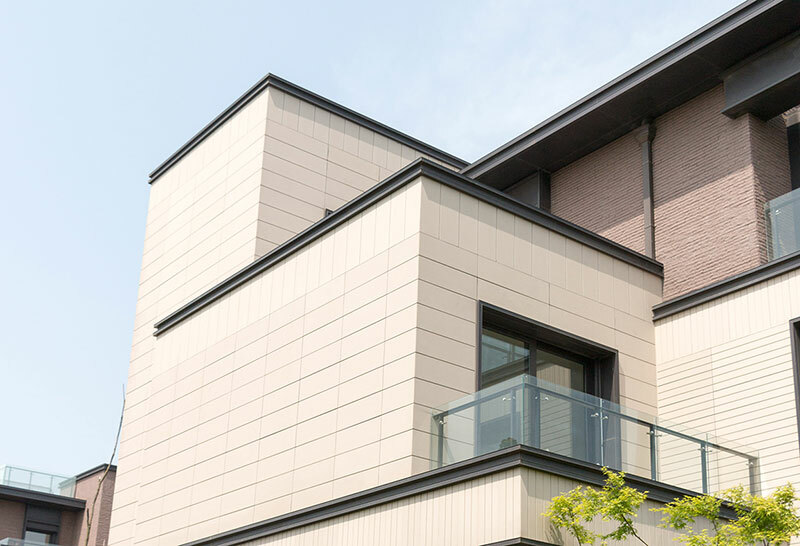 Horizontal and vertical installation system of terracotta façade panels are used in combination, and minimalist architectural lines render various changes. The large dark grey roof is finished with exquisite metal components and large glass windows, rendering a modern sense of design. The elegant walls are interspersed with green trees, integrating with the community’s forest landscape in perfect harmony. As the requirements for green houses are constantly improving, a growing number of villa projects are adopting terracotta panels for facade. 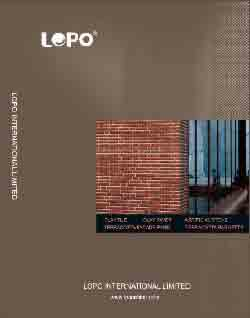 This project is one of the many large villa community projects that LOPO has undertaken in recent years. We have provided around 40,000 SQM terracotta panels for the project. 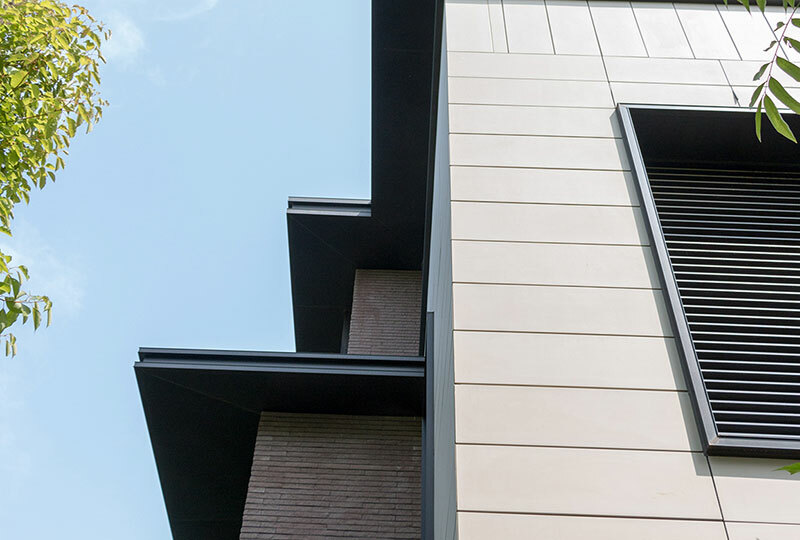 Different from the natural stones and terracotta thin bricks used in the other villa façade projects, the shape of the terracotta tiles and the texture of natural clay can create a modern and minimalist architectural style for the villa.